Looks: Small light green fluffy buds. It actually doesn’t look like a good grow of this strain, but it still packs a punch! 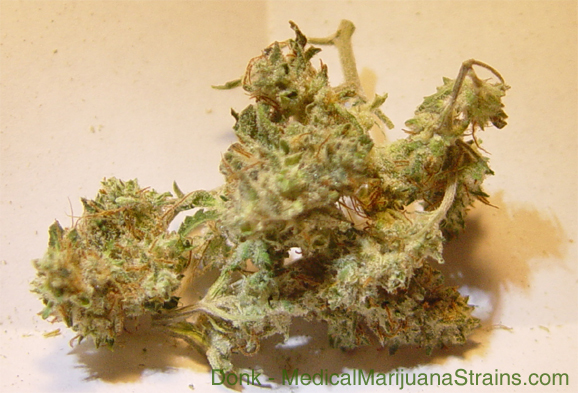 Smell: Fairly dank smelling, with sugary and sour undertones. Taste: I was expecting to get a very sour flavor from this one, instead it was a sweet and slightly earthy flavor. Effects: While this buzz is a bit confusing mentally, I would say that it is very effective physically at helping with the pain. It is a very strong body buzz, that is not overly ‘down’ feeling. This one comes on strong, and seems to stay strong for about 2 hours then drop off exponentially from there. Notes: Great for bodily pain, appetite stimulation is present but not strong.